By TLex The new Daynight T-100 Chrono from DEEP BLUE Watches is powered by the Swiss made Valjoux 7750 automatic mechanical chronograph caliber with 25 Jewels, beating at 28,800 VPH. Features include: day and date, 12 hour counter, running Seconds and minute counter. It's 316L Stainless steel case measures 47mm x 18.5mm with a lug to lug measurement of 55mm. 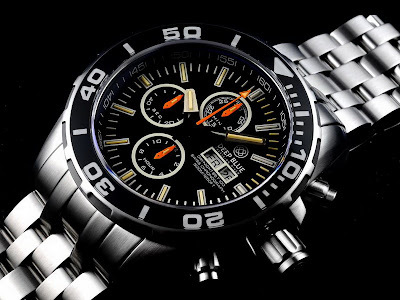 It features: a screw down crown, chrono pushers and caseback. It is water-resistant to 500 meters or 1650 Feet. 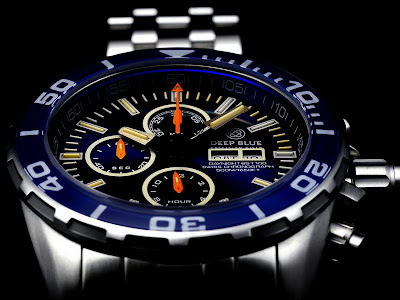 The dial, which comes in black or blue with a matching black or blue 120 click unidirectional rotational divers bezel. 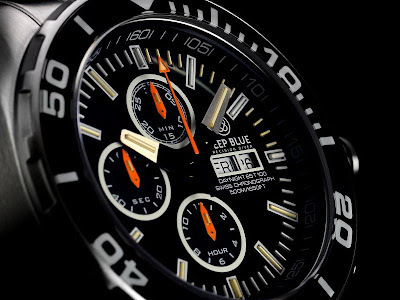 the bezel has a BGW9 Superluminova applied Sapphire inlay. 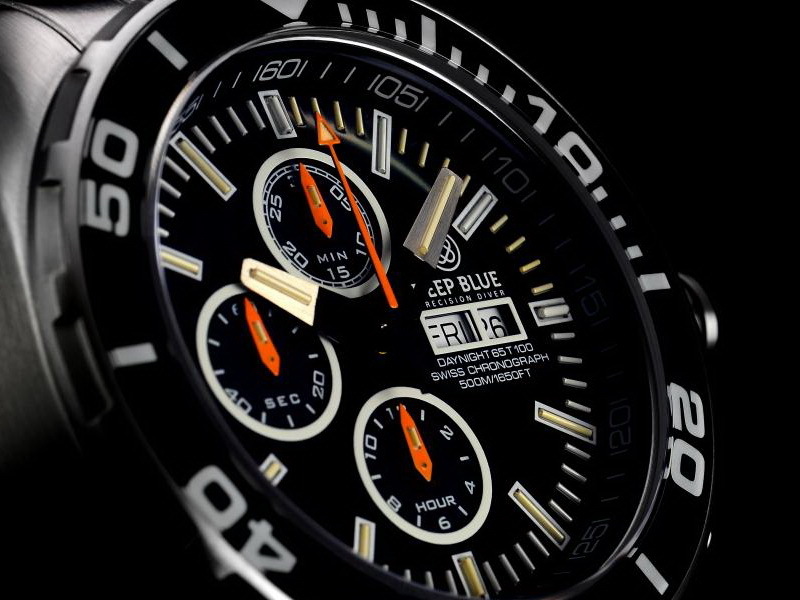 The dial as an aperture of 37mm, which can be seen in all its glory through the 4mm thick Sapphire crystal. 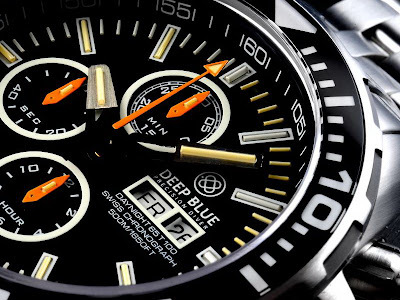 The watch is fitted with a solid steel 26mm bracelet with divers wetsuit extension, 4 micro-adjustments, half links, full links, screw in links, a 5.5mm thickness and a divers safety clasp. For further details on pricing an ordering, please follow the link HERE or follow the DEEP BLUE Watches logo below . . .